We’re back home in Canada! Living in Europe was a really amazing experience, and I’m so glad we had the opportunity to go. I enjoyed the travel experiences immensely, but I also enjoyed how Sean and I made dinner almost every night. That was really nice, and it’s a great way to bond if you cook together. Now that we’re back we’re retrying some of the foods we missed while in Europe (nachos, Starbucks, etc). However, I don’t feel the need to really be eating this things as much as we were before we left. So that’s great! I’m working on trying to do a meal plan each week, but this week I kind of failed at it. I just started my new job on Monday, so it’s been a bit of an adjustment especially after not working for 4 months. Thursday night was deemed Taco Night, so we made tacos! I think it was the only night this week I legit cooked what the meal plan dictated, haha. I got this recipe from AllRecipes.com. It was pretty tasty, I didn’t change much. Heat oil in a large pot. Add onions and garlic and cook until tender, approx 5 minutes. Add the lentils, taco seasoning, and crushed red pepper flakes. Stir for 1 minute. Add the broth, bring pot to a boil. Once boiling, turn heat down and simmer with a cover for 25-30 minutes or until lentils are tender. Remove the cover and allow to cook for an additional 5-7 minutes. Slightly mash the lentils, then add salsa to taste. Serve with your favourite fixin’s! These were really good. My brother’s favourite food is tacos so I was glad that he enjoyed these. They get the brother stamp of approval. 🙂 I find lentils are a really great substitute for ground beef, especially with the right herbs and spices. 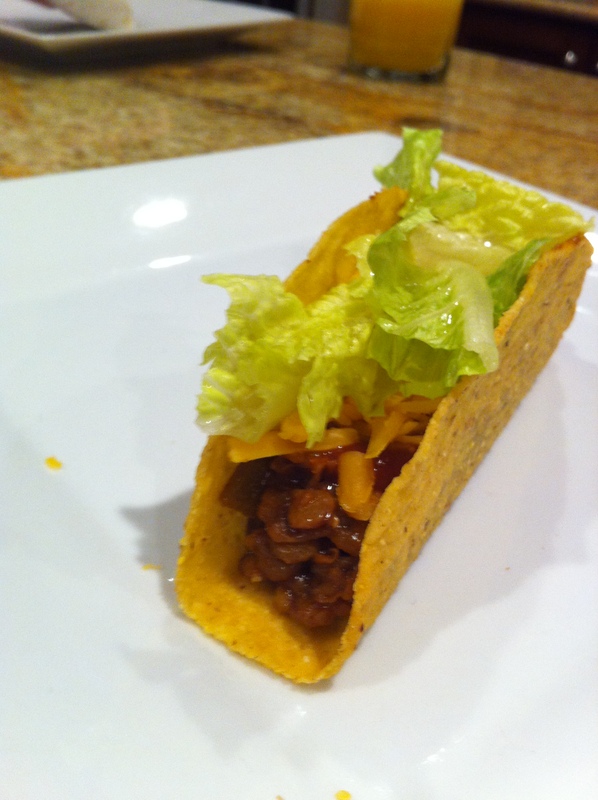 We served our tacos with a mix of hard shell and soft shell tacos. For toppings we used shredded romaine lettuce, salsa, cheddar cheese (I missed cheddar cheese while in Europe!!! ), plain greek yogurt, and pickles. 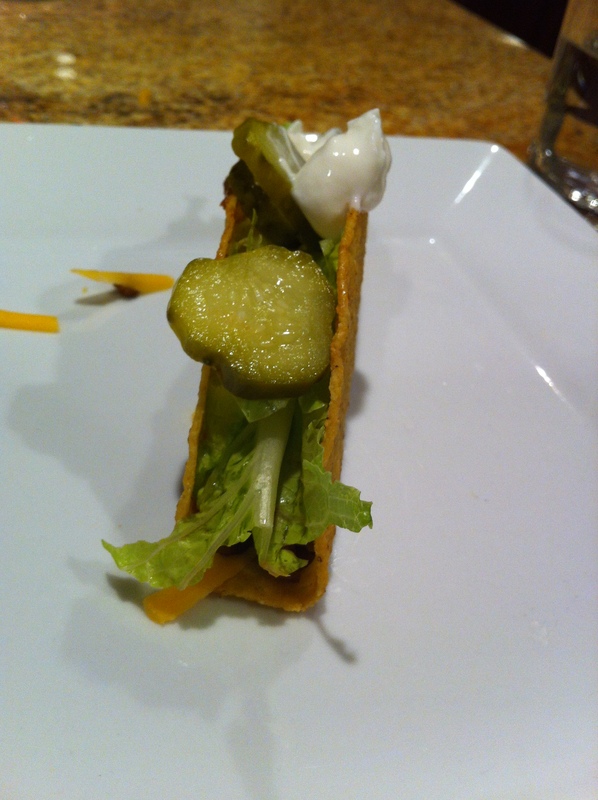 I know pickles is kind of a weird topping, but we’ve always eaten tacos this way. They’re so good with tacos, I don’t know why.